For the final week of Booktober, I thought I’d incorporate the theme with a little project we’ve been doing with Pickles since his language has started developing. The aim is to help him express exactly how he is feeling. A lot of it has been about naming feelings as they arise. So, if he isn’t allowed to have another marshmallow, we’ve been trying to say things like: “You’re really disappointed that you can’t have another one.” Or if he is getting upset that his baby sister can’t do something that he wants her to, we say “You’re frustrated that Pords is still too little to do that yet.” We also try to think of ways to deal with our emotions. We’ve done some craft activities with moveable face parts so that, for example, he can turn a smile into a frown. We’ve been looking at pictures of different faces and talking about how the people might be feeling. It’s starting to work I think. He is naming his emotions, and is able to identify them in others. When Pords cries, for instance, instead of just noticing the crying, he will say: “Pords is sad mummy. She needs a cuddle.” He’s only two so it’s an ongoing process. Actually, I think learning to express and manage one’s emotions is a lifelong process. So, as part of the ongoing learning, when we were at the library this week we chose books about feelings. This is the perfect first book about feelings. It shows Anthony Browne’s monkey, who we already knew from Things I Like, experiencing a range of emotions; from happy to curious, from angry to lonely. The text is very simple. It just sets out which emotion the monkey is feeling in each picture. The pictures very cleverly and clearly show what the emotion means. It is a great visual demonstration for little people who are busy picking up new words. They are also great prompts for opening up a discussion about particular feelings. You can start talking about a time when you or your little person felt a particular way. This helps the learning become even more meaningful. The fact that the pictures are cute and funny is also a big help. Pickles laughed when the monkey ate his banana. He has also requested the book be read to him again a number of times in the few days we’ve had it, which is a great sign. Overall, for my current purposes of teaching a toddler about words to describe feelings, this book is fantastic. Pickles and I were both immediately drawn to this book at the library. It such an interesting and beautiful book to look at and to hold. 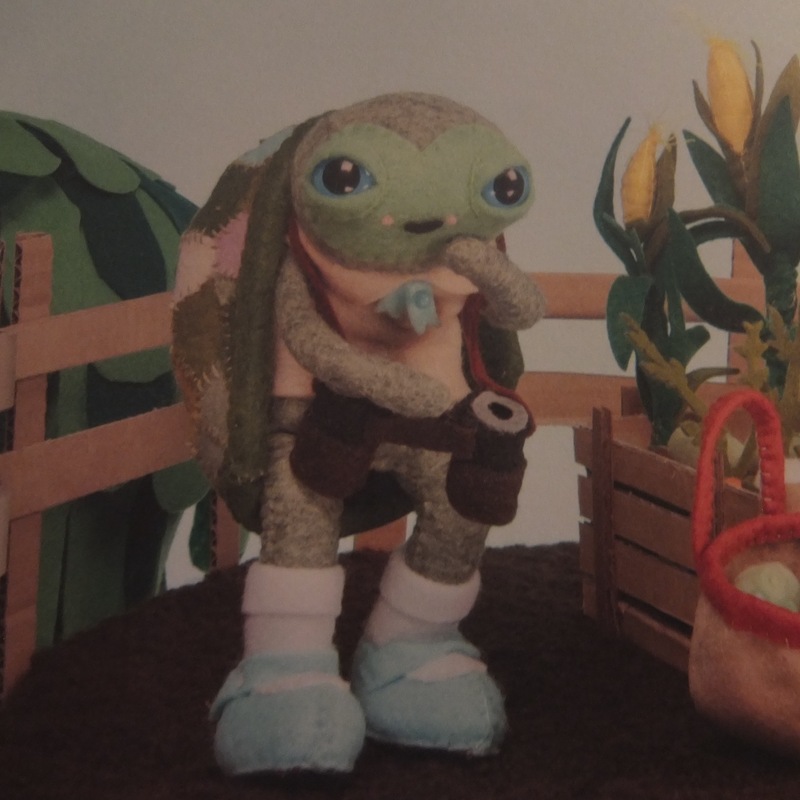 The gorgeous characters in this book are made of felt and photographed, making it so different from many of the other books on offer and somehow just a little bit more special. Turtle is very shy and lives on his own. He is happy to watch from afar. One day, a whole lot of new friends literally blow in with a storm and his compassion overcomes his shyness. He realises that he actually likes interacting with others. 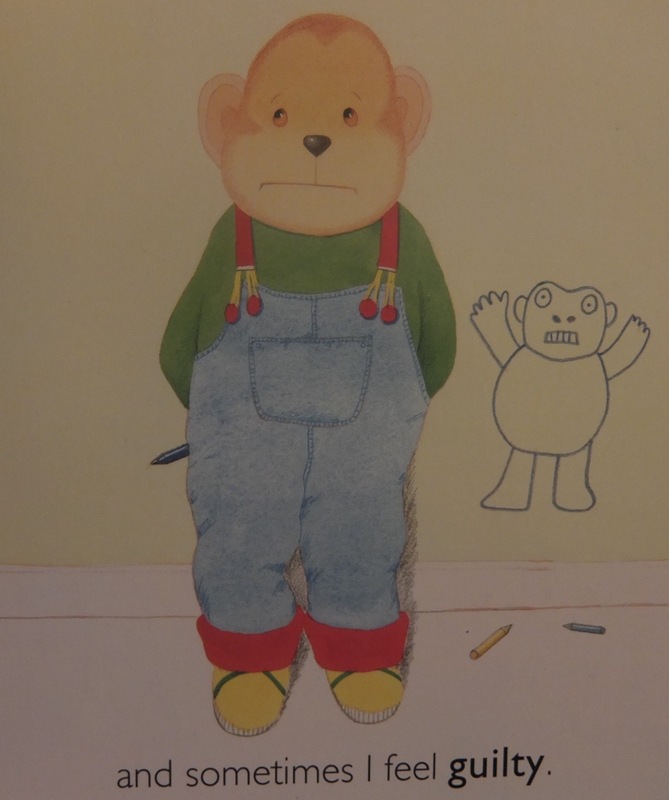 I was quite a shy child so I think this book would probably have resonated a bit more with me than it did with Pickles at this stage in terms of identifying with the emotions because he’s a bit of a run headlong into the world type of fellow so far. Having said that, he loved this story. We got to do different voices for lots of different characters, which is always fun, and their dialogue is quite funny in parts which is always fun. Plus, he was just captivated by the pictures. Even baby Pords found this book fascinating. It was a great find and I will definitely be checking out the other work from the creative duo behind this book. This book has already added a new favourite term to Pickles’ vocabulary. He now likes to say that he has “the grumps”. While having the grumps isn’t exactly a good thing, this outcome is one of the main reasons I have been interested in teaching him this stuff at all. It’s much better for him (and me!) if he can just articulate that he has “the grumps” rather than feeling cranky and not understanding it and just getting grumpier. It’s also good for him to know that everyone gets grumpy sometimes and it’s ok. From there, we can talk about things that you can do if you’re feeling grumpy. The grumpy little gorilla in this book is just so adorable and expressive and the pictures are very entertaining. 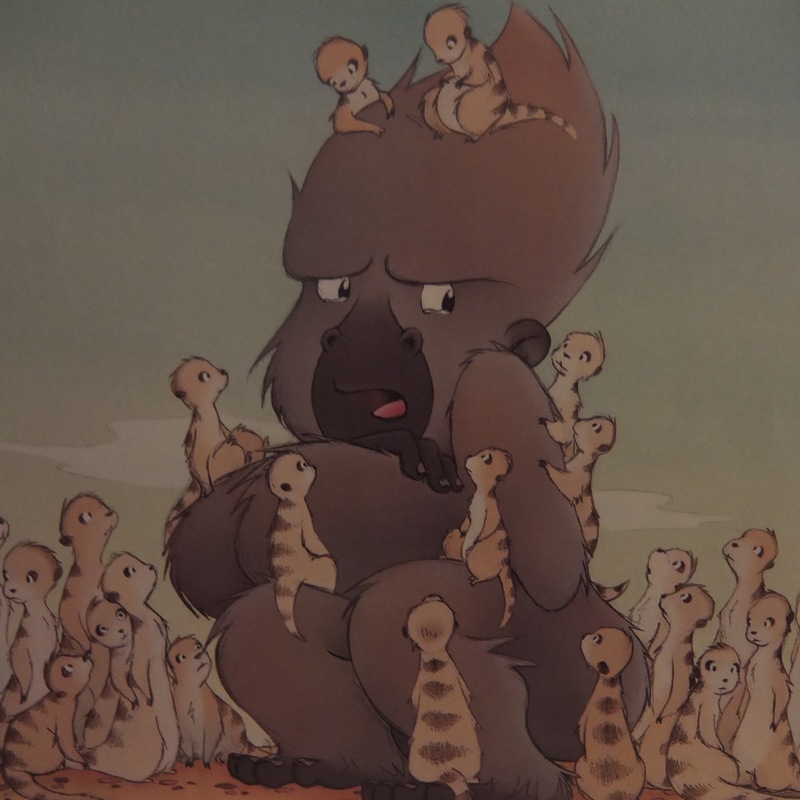 Pickles particularly likes the page where the little gorilla is sitting in a grump with a bunch of meerkats sitting on and around him. The little gorilla realises that being in a grump means that you might miss out on some fun times. He apologises to his mother for his behaviour, and she in turn is able to kiss his grumps away. So there’s a happy ending too. This was another excellent one for my feelings project. Saying “The Blues” hasn’t caught on with Pickles in quite the way as “The Grumps” has, but I think it’s always useful to have as much vocab to draw on as possible. It might be that one day he just feels a bit down, and he’ll remember this expression. This is another great book for normalising particular feelings. tiny babies, big kids too. It’s great to be told that sometimes it’s ok to feel sad and to cry. I think it’s such an important lesson for kids; sadness is not a moral wrong. It’s a perfectly natural emotion, and it’s ok.
Hopefully developing the language tools to speak about emotions can help when we feel something that makes us feel “all bad and mad and sad inside”. 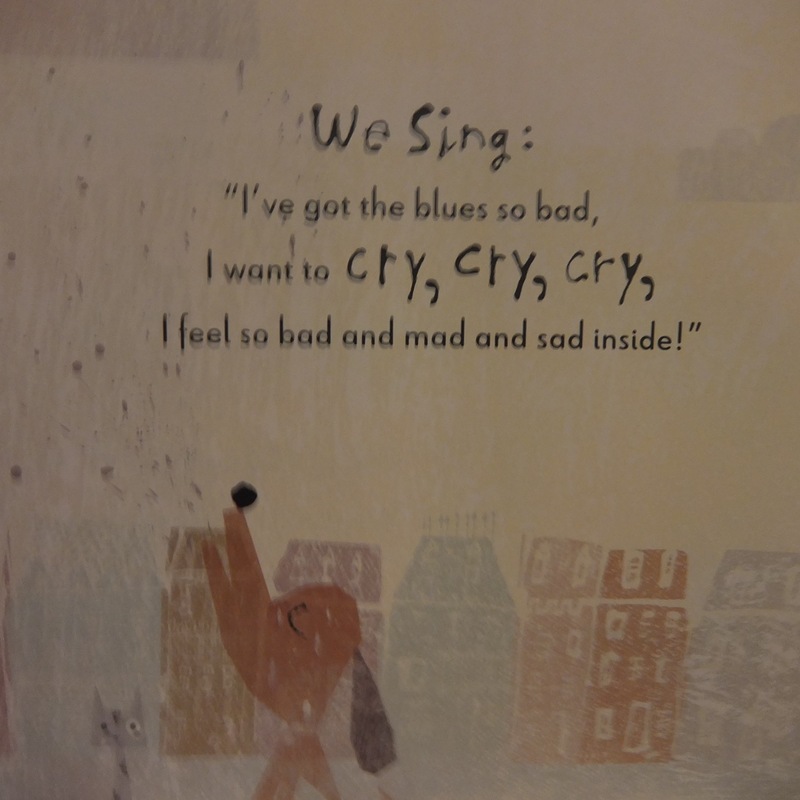 The pictures in this book really capture the feeling of the blues and the writing is lyrical. It reads like a blues song, which makes for wonderful reading aloud! 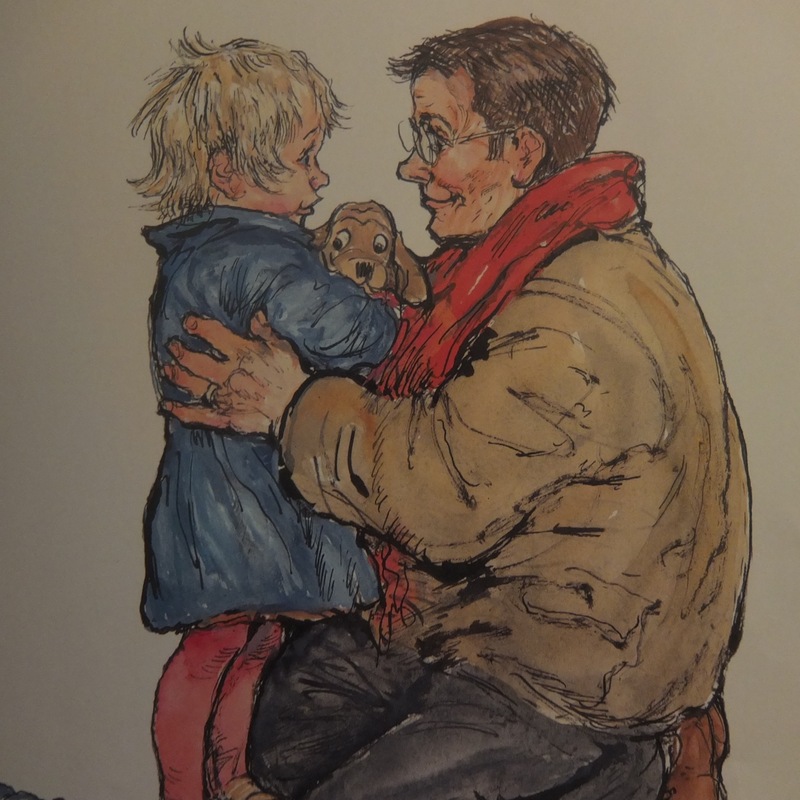 Shirley Hughes is one of the all time great creators of picture books. In this book, her readily recognisable style of illustration is as gorgeous as ever. Each picture is truly its own work of art. The book has more words than the books we usually choose. It is probably targeted at a slightly older age group. Despite this, Pickles happily sit and listened to the whole book. The story tells the tale of a little girl named Lily. Her mum wakes up sick one morning and her dad needs to go to work, so Lily has to spend the day at someone else’s house. She doesn’t want to go. Slowly she starts to enjoy the day and in the end she doesn’t want to leave. This is a great one to read if your little people is feeling anxious about going somewhere. You can talk about the reasons why you might not to go somewhere or do something. You might be nervous about being in a new place. Being able to talk through these feelings, and seeing other people dealing with feelings of them, are great lessons from this book. Sam’s classmates don’t know much about him because he doesn’t talk much. He is very shy. He dreads having to speak in front of the class for show and tell. However, when the time comes, he finds that sharing some of himself with others is not as bad as he imagined. Actually, it’s really quite great. The pictures of the animals in this are delightful. 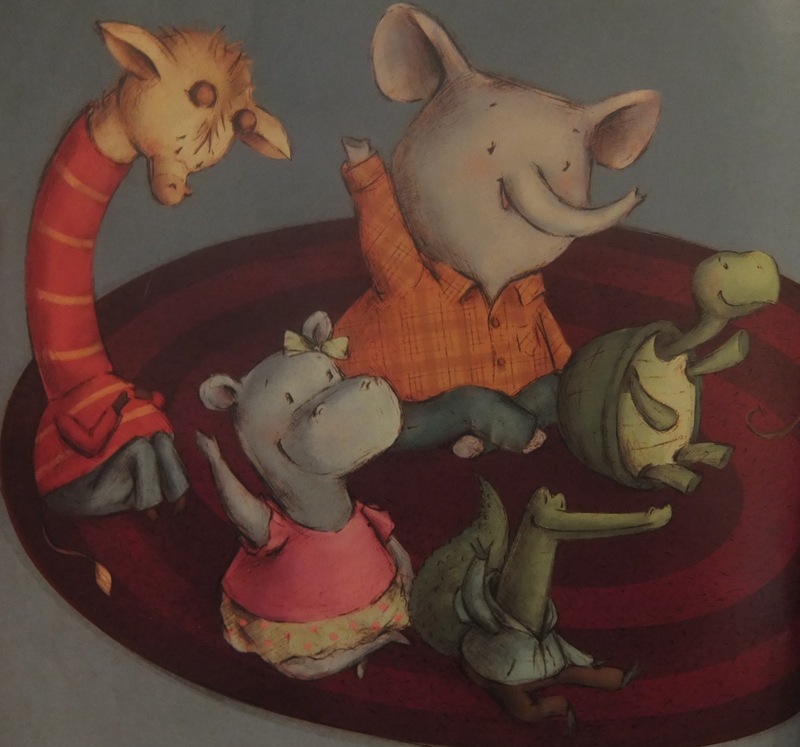 I love that the shy kid is a giraffe. He may be bigger than everyone else but shyness doesn’t discriminate. This is another great one for using as a springboard to talk about things that might make your child nervous. What are the things that might happen? Sam is able to watch others do show and tell first and notices that everyone is quite supportive. If you have a little person who is shy in social situations, this is a great one for them. This one isn’t directly about feelings. Except that it’s all about joy. Plus it’s the last book for the Booktober series so it had to be all about books. This book is a pure celebration of books. 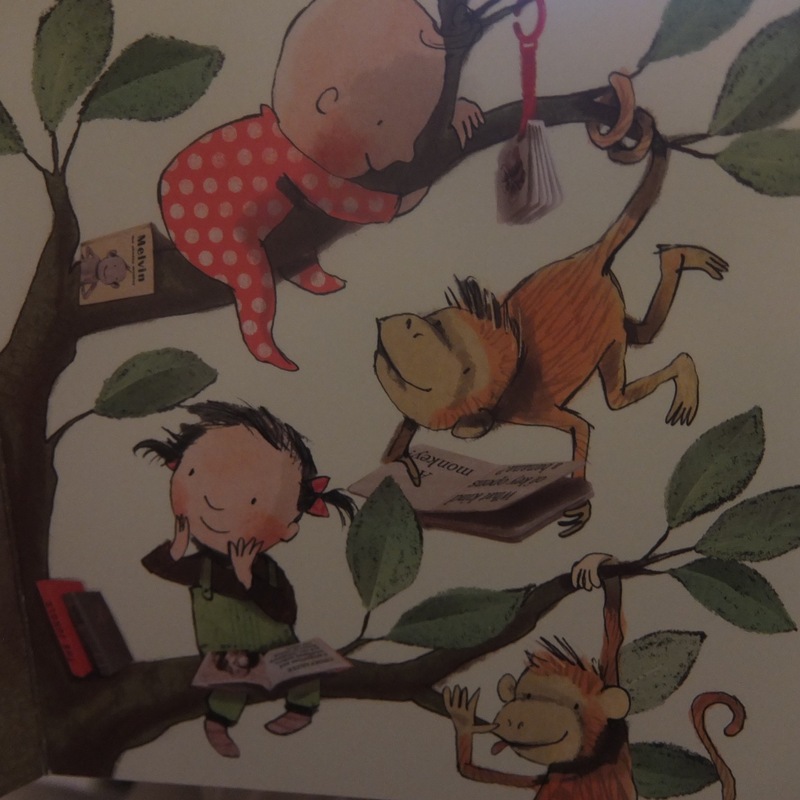 It shows children with all different types of books, doing different things with books, absolutely loving books. The text is a simple, wonderful rhyme about books, so of course I’m sold on just the words. The pictures, though. Oh the pictures! Kids with enjoying books. Simple happiness. In terms of discussion of emotions, we have been looking at the happy smiles and talking about what makes us happy. It’s been a pleasure. We borrowed this book this week, but I’m definitely investing in it for the home library. So that’s it for Booktober! Thanks for reading with me. Happy November! How do you talk to your kids about their feelings? Have you found any good books on this topic?